Thank you for thinking in new and inventive ways! It's exactly what we need to get past old habits. As you are fleshing out this proposal, I suggest some structural analysis on the effects of the distribution of wind on the structure. Wind loads are greater at the top of top of tall buildings than at the bottom, so there is an impact on the shape, which will in turn impact the effectiveness of the vertical turbine sections (e.g. How well do the wheels interact with the outer ring when in operation? How would the bearings at the core need to be designed? Is it even worth including fins and rotors at the bottom?). 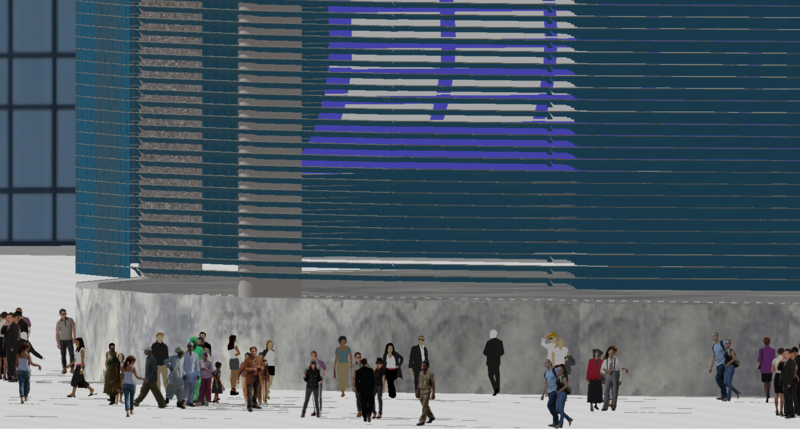 I would also posit that the size of the sections should vary up the height of the structure according to the dynamic load imposed on them to ensure the structural integrity is balanced with the energy potential. About the wind load, it would be complex to predict and calculate in dense cities as the buildings themselves would produce and eddy-effect (picture the classic plastic bag video, with it floating up and down in the wind), do you have a way to predict the potential to capture wind energy in cities? In terms of non-structural questions, the shutters introduce many moving parts and I wonder how vulnerable they might be to vandalism--this may be an argument for not putting a turbine at the ground level. Lots of things to think about as you develop this--thanks again for your innovation! I added an image with horizontal elements (shown by arrows below) are connected to provide structural support against lateral force from the wind. If the wind tower is placed in a dense area in a city the lower are might not be worth to have anything as it would capture less wind, though if in an open space it would be beneficial. I will work on the other questions about the structural elements. The thought process is superb. Please explore how to assess the power generation potential in this case. 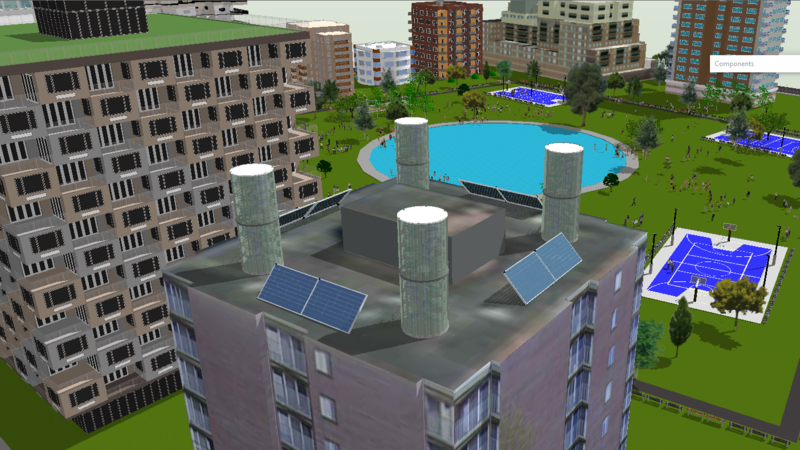 Another interesting thing would be to ascertain the possibilities of its installation prospects in the existing sky rise buildings. Thanks. best Wishes. 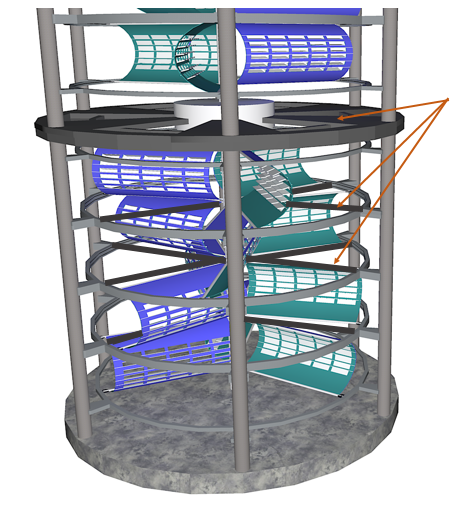 A very interesting iteration of a vertical wind turbine concept! Following Betsy and Manohar, I also do think that you might want to talk with a structural engineer / CFD modeler about vortex shedding, dynamic loads, and noise pollution as well as create a output vs. wind-speed characteristics. Studying what went wrong with somehow similar concepts, e.g. 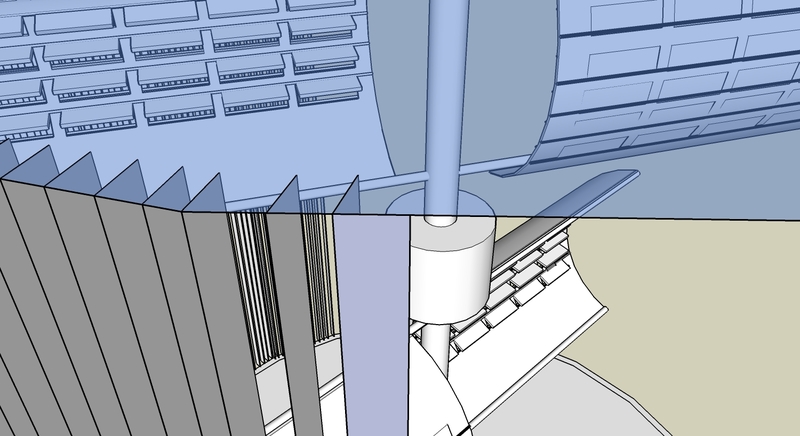 http://inhabitat.com/super-powered-magnetic-wind-turbine-maglev/ could be helpful in reinforcing your idea, too. Unless the vertical, "obscuring" blinds are movable, I don't think they would suffice to minimize the visual impact on the surroundings. On the flip side, though, maybe you could put some ads / display on them, at least on the ground level? Also, maybe the blinds could be used as a form of nozzle / "directional blades" to eke out a bit more output from the turbines? Cities will continue to consume and increasingly larger share of global energy supply. Hopefully they'll produce lots of clean, GHG-free energy too! Dear Manohar,Thank you for your feedback.I will be adding smaller size designs - as small as a bird cage, which can be placed in a yard or a balcony and plugged in to either fill a battery or feed into the power grid. Next size would be between 1-2m tall and about 1m in diameter for new construction as part of new houses - resembling chimneys. I will also add a design to double as regular street poles . Thank you again and I would greatly appreciate it if you can add your support. I posted a reply on Sept. 5 but looks like there was some glitch. 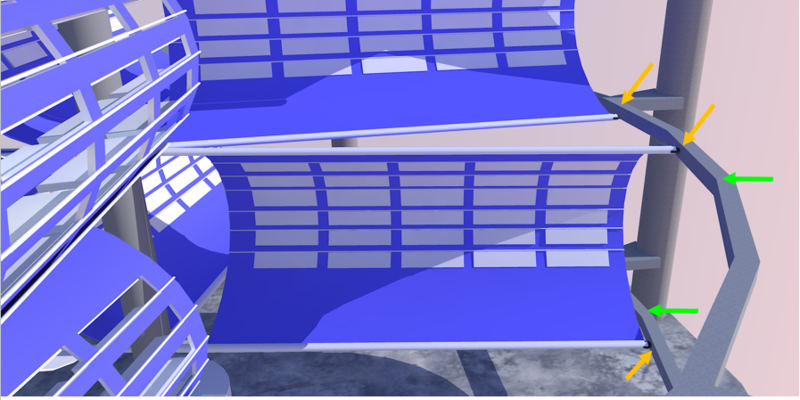 I also added a design for horizontal solar "flappers"
UNFORTUNATELY I FORGOT TO ADD THE ABOVE IMAGES TO THE SUBMISSION. Hope the judges will look at these comments. I addressed your feedback and updated the proposal with more images and explanations such as the ones below.